Happy New Year everyone. I know I haven't been writing on my blog like I should. But it doesn't mean that I abandoned my site. I decided to switch platforms and also have an all new design that I'm currently working on. Posts will be few are far between until I officially move the blog in March, but I will update with the key events that's going on in January. 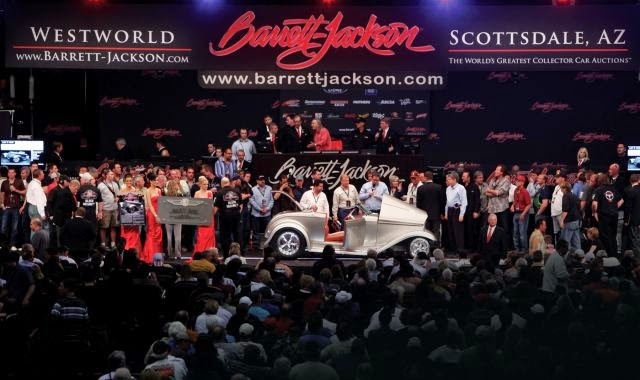 In the automotive world, when there's a New Year, something else is also around the corner-- the first world's greatest auction of the year, Barrett Jackson. Held in their flagship city of Scottsdale on January 10-18th, this year's docket will remind you why Barrett Jackson's auction isn't one to miss. 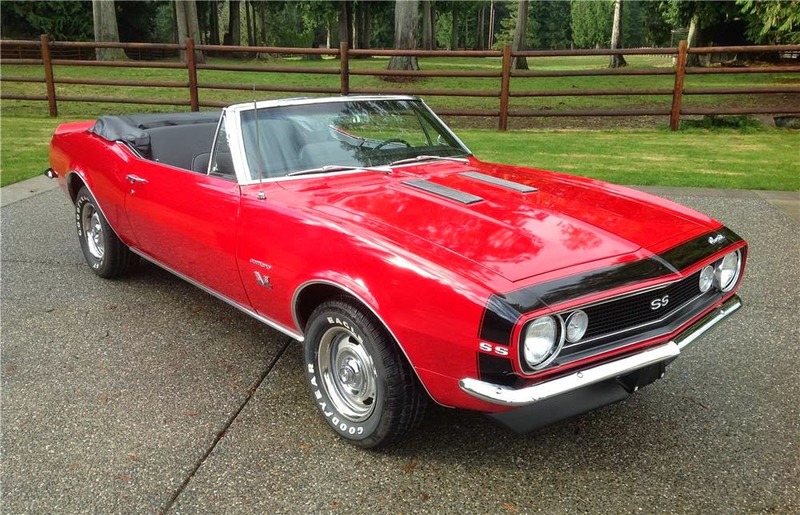 There's some great looking vehicles and also my actual dream car is up for auction. I have 75 vehicles that I fell in lust with. Actually it was 74 cars and my dream car that I'm in love with. Enough talking, time to show off part one of my selections. Starting off my selection in Lot 5, we have a 1978 Puma GTE. 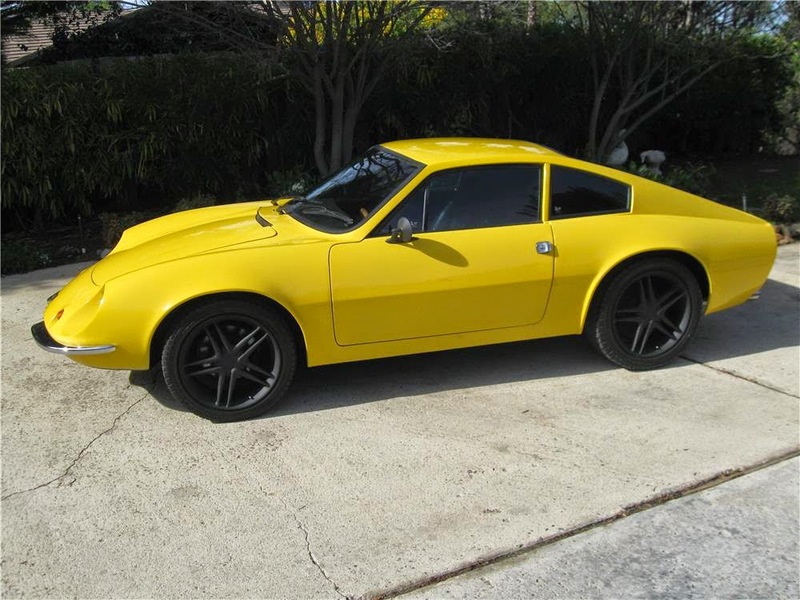 This car is extremely unique and has the styling and design features of a Ferrari Dino. It's been maintained in excellent condition. Powered by a 1,600cc VW engine. Features VDO instruments. A blast to drive, lightweight, and very fast. Parked in Lot 7.1 is a 197 BMW 2000. This is a rare BMW 4 door sedan. 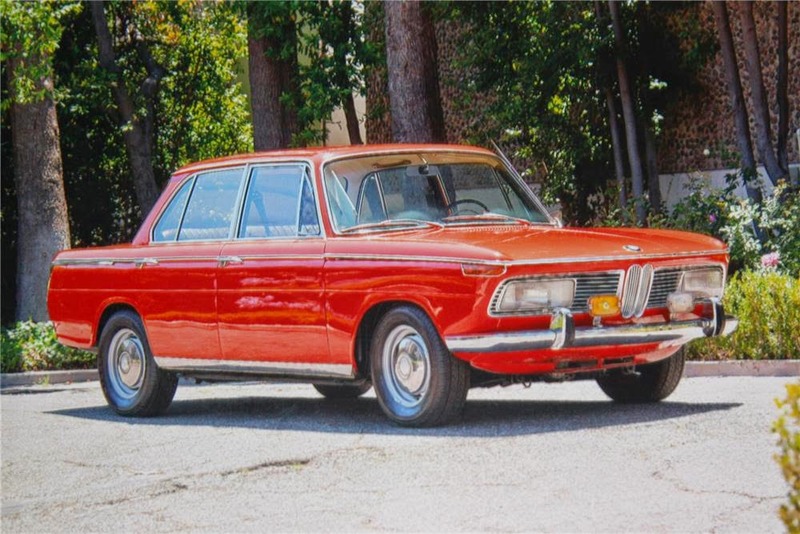 Originally an automatic BMW installed a 4-speed for a better performance. Rust-free Arizona car. 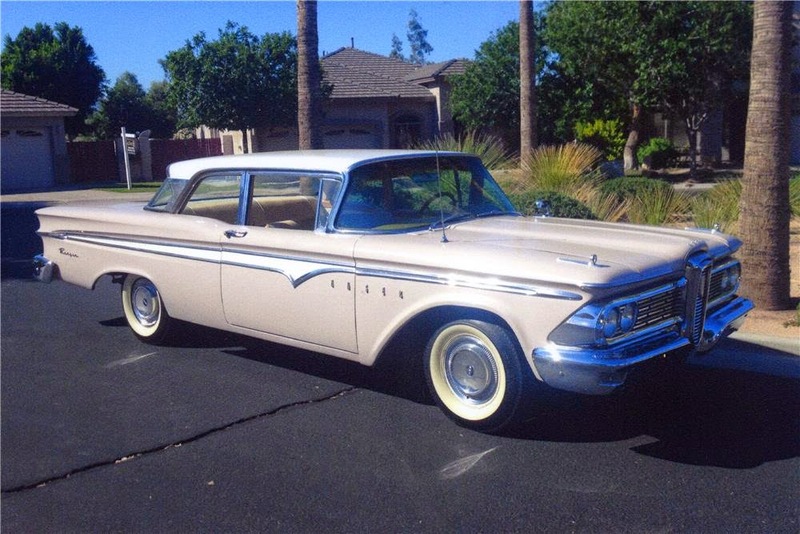 Fast forward to Lot 20 where a 1959 Edsel Ranger is parked in it. Nice older restoration 1959 Ford Edsel Ranger. Car is complete and in exceptional condition. It is a very solid and fun car to own and drive. 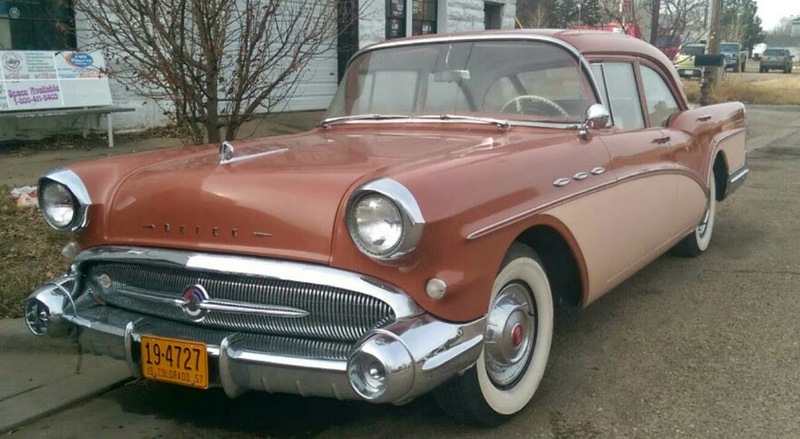 Stationed in Lot 24 is a 1957 Buick Special. 364cid Nailhead, Dynoflow 2-speed automatic transmission, power steering, power brakes, heater/defroster, factory Sonomatic push-button radio, factory in-dash clock, padded dash, dual chrome side mirrors and white wall radials with Buick wheel covers. A 1966 Renault Caravelle Hardtop is up for auction in Lot 25.1. This is a very attractive European sports car with optional hardtop. Parked in Lot 29 is a colorful 2001 Volkawagen Beetle. Custom paint by Mike Lavallee of Killer Paint. 61,500 original miles. Stock, unmodified, fully loaded, 5-speed, air conditioning, sunroof, cruise control, heated seats, leather, CD changer, 5,000 miles on new tires, stone guard, superb service record. Located in Lot 32 is a 1922 Ford T-Bucket. 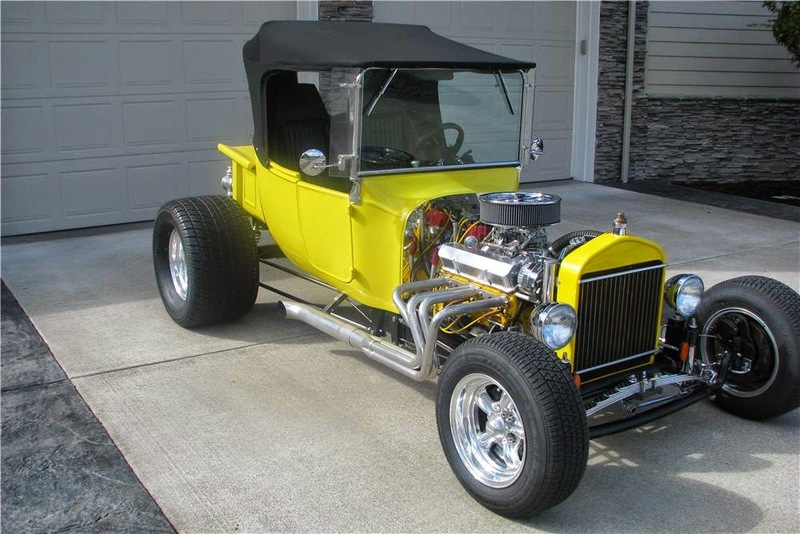 This T-Bucket roadster was built by Don Woodley with a Chevrolet 350/330hp GM performance crate engine, Turbo 350 with shift kit, 2,500 stall converter, Lokar shifter, Ford 9" with 3.25 gears, disc brakes and AM/FM/CD player with remote. A 1969 Chevy Nova is up for grabs in Lot 33. 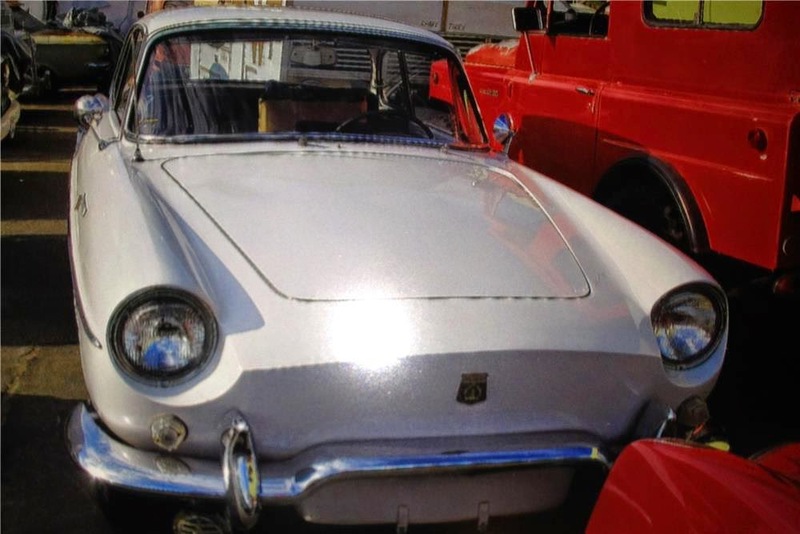 Complete restoration on a rust-free car. Power plant is a new 3350/330hp crate engine from GM performance. Turbo 350 transmission with shift kit, 2,500 stall converter, posi-traction 10-bolt with 3.42 gears, power steering and power disc brakes. In Lot 50, expect to find a 1967 Buick Gran Sport GS 400 parked in it. This Buick has automatic transmission, yellow exterior with black top and black interior, family owned since 1972 and has always been parked in a garage. Has been repainted one time several years ago. Power windows, power steering and power brakes. 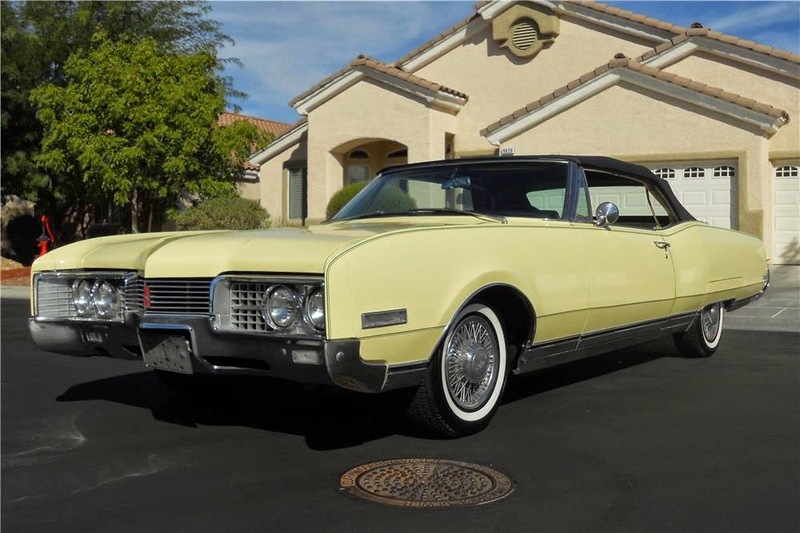 Residing in Lot 54 is a 1967 Oldsmobile 98 Convertible. This 98 has a 425 engine, automatic, loaded with power steering, brakes, windows, trunk and seat. Also features speed alert and air conditioning. New black top with glass back window. Sitting in Lot 56 is a 1978 Dodge Lil' Red Express. 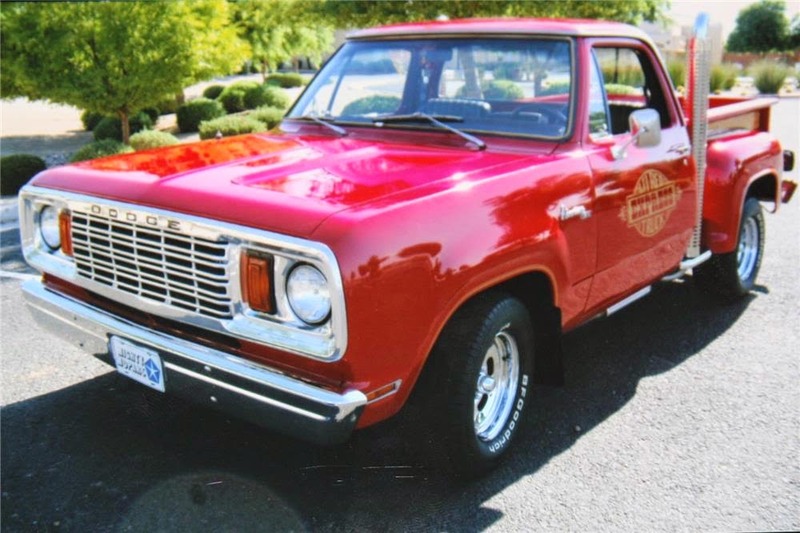 This is an excellent rust-free example of 1978 Dodge Lil' Red Express truck. Factory 360cid engine, special 727 automatic transmission, 3.55 rear end and black bucket seat interior. Halfway on the list is a 1966 Ford Thunderbird Landau Hardtop in Lot 61. This 'bird has 428cid, C6 automatic transmission, full power windows, power seats, power brakes, power steering and factory air conditioning. Restored form the ground up with low miles on restoration. Excellent driver. Original Candy Apple Red with gold pearl accents. Parked in Lot 75 is a 1951 Crosley Firetruck. This is a rare Crosley built by Overland Amusement in Lexington, MA. Only 400 were made in 1951. Street legal; can haul 20 kids or adults in a hook-and-ladder trailer with dual benches. 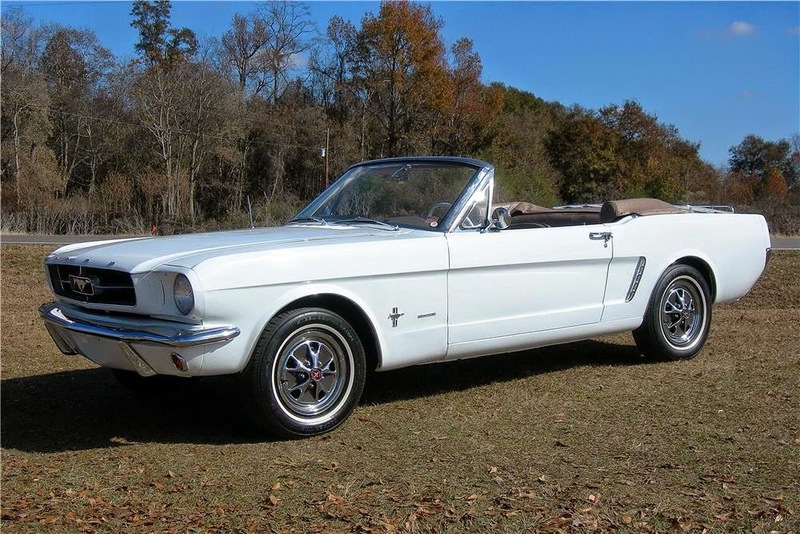 Lot 92 has a classic 1965 Ford Mustang parked in it. 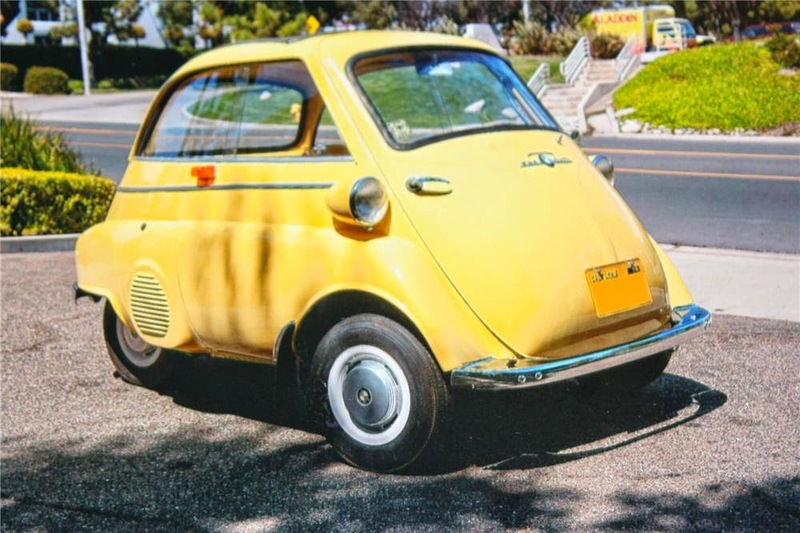 Powered by its original 6 cylinder engine and automatic transmission. Body is solid with good glass, chrome and trim. All-new interior, including gauge cluster and new power top. Runs and drives great. 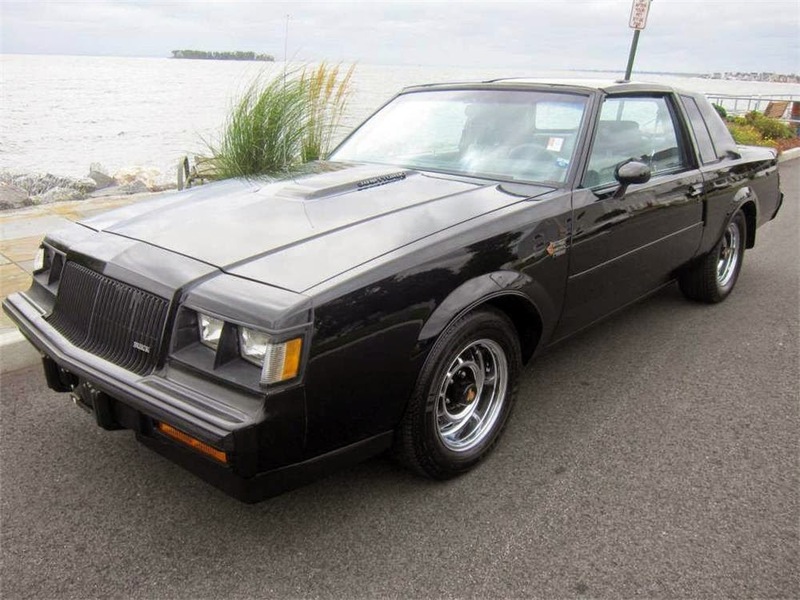 Nine more left, and the coveted 1986 Buick Grand National speeds into Lot 201. This very popular Grand National has had one recent repaint. Very rare climate control and with a T-Top roof. Lot 204 is the temporary home for a 1974 Volkswagen Thing. 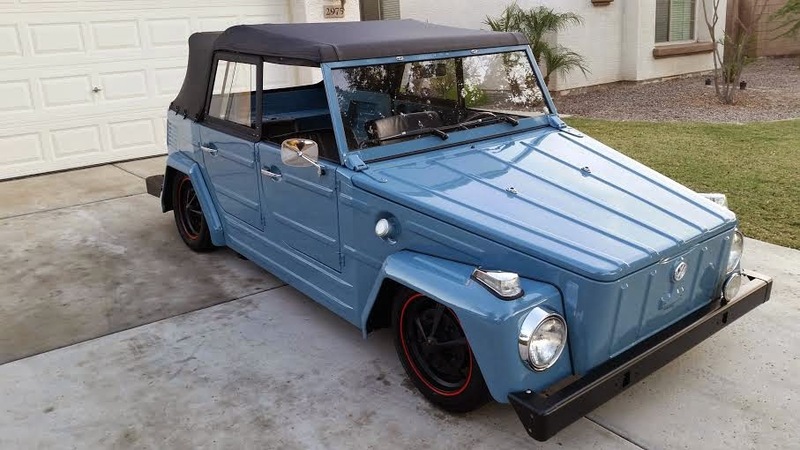 This Volkswagen Thing 181 with the stunning Dove Blue paint and a clean, simple stock black interior. 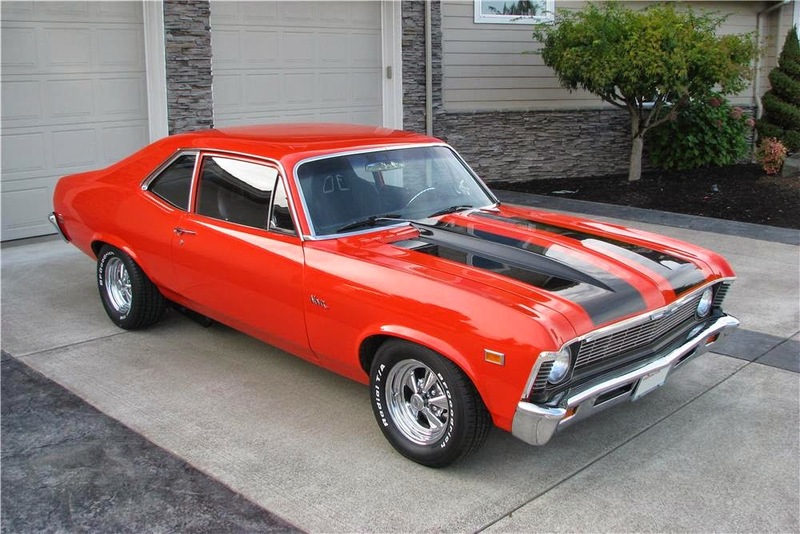 It features its factory original 1.6 Liter highly detailed engine with dual Weber carburetors. Laid out on Satin Black wheels. Parked in Lot 208 is a 1948 Lincoln Continental. This stately car is from Arizona. It has not been restored, so it is not perfect, but the V12 is smooth and quiet. Great looking dark blue exterior with a blue interior and a great car to get in and drive. Stationed in Lot 223 is a 1971 Buick GS. This is a frame-off restored real GS 455cid with Stage 1 upgrade, Muncie 4-speed Rock Crusher transmission, 12-bolt posi-traction rear with 3.73 gears, power steering and front disc brakes, AM radio with new Rally wheels and tires. 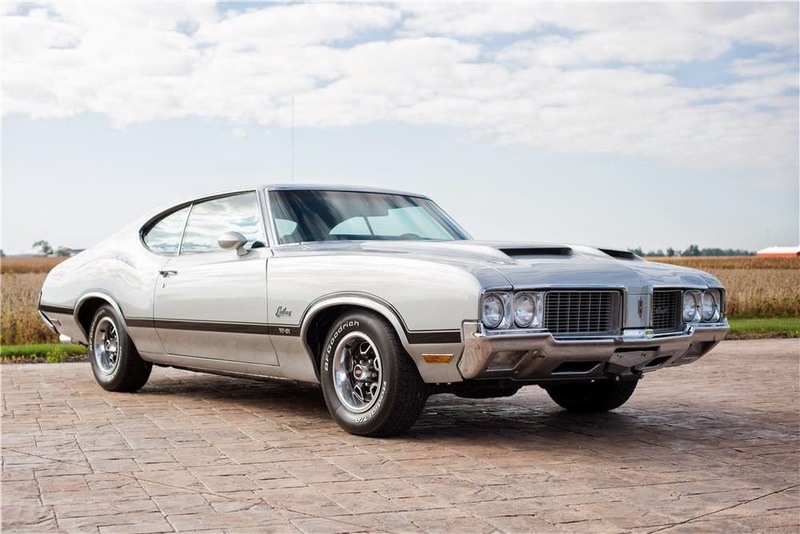 Lot 236.1 has a 1970 Oldsmobile Cutlass W31 parked in it. This is a real W31 with one fresh repaint on original rock solid body. Matching numbers motor with professional build, cold air induction Ram Air hood and automatic transmission. Only four more to go, and this 1969 Plymouth Barracuda in Lot 240 is definitely up for grabs. This 1969 M Code 440 Barracuda has original Broadcast Sheet, date code 440 engine, original sheet metal and no rust. Fresh paint and body. Resting in Lot 247 is a 1957 Chevrolet Bel Air. 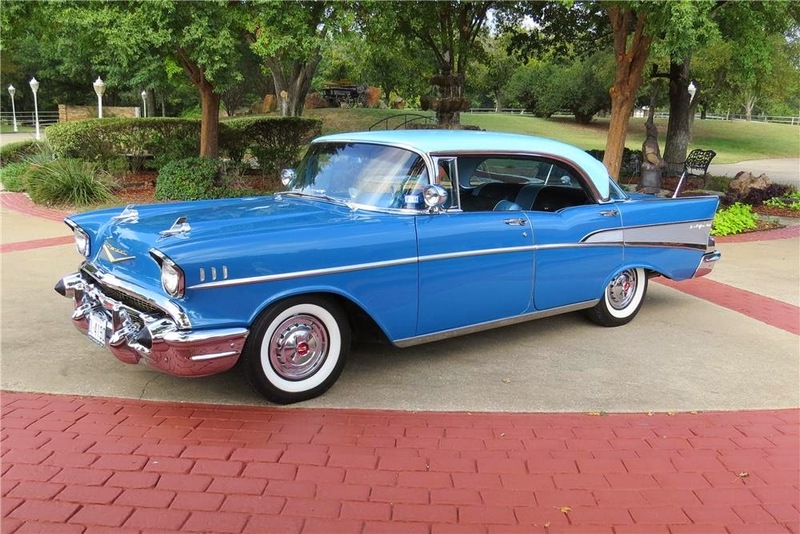 This Bel Air has a 283cid V8 with automatic transmission. Blue-on-blue two tone color with fender skirts. Power brakes, power steering, power windows, and power dual antennas and Vintage Air. Four spots away from the Bel Air is a 1967 Chevy Camaro SS that's parked in Lot 249.1. Full rotisserie restoration on an SS 396 with a 4-speed, 12-bolt with factory traction bar, console, tachometer and gauges. Bolero Red with black top and interior, power top, power disc brakes and power steeriing. 14"x6" Rally wheels. And rounding out my first set of picks is a 1965 Pontiac GTO parked in Lot 250. Approximately 200 miles on a rebuilt motor. 389cid bored to 0.030, three Rochester carburetors, larger Be Cool aluminum radiator, 3.17 posi-traction in rebuilt rear end and a powder coated frame.